Erica Massey is ready to start her master’s program after completing her undergrad degree in Earth and Environmental Sciences. Erica Massey, graduating from UBC with a bachelor of science degree in earth and environmental sciences from the Irving K. Barber School of Arts and Sciences, has already plotted out her master’s degree research. But not until she became a single parent of three young children in 2006, did Massey decide university was the route she wanted to take. While going back to school was no easy feat, Massey’s children were a big part of her education plan. Massey’s path to graduation was different than her peers. Not only a bit older, but she also spent two full semesters studying in Iceland—taking her kids along for the journey of a lifetime. Curious about climate change and the North, Massey applied to and was accepted by UBC’s Go Global program to study in Iceland. Taking her children out of school, to a country where they didn’t speak the language, was a big risk. But Massey wanted her children to experience a different culture. Her youngest, just eight, attended a local elementary school in Reykjavik, and the elder two, both in high school, attended school part time and did online BC curriculum work. Massey had a full-time course load, studying Earth’s tectonic movements, volcanology, glaciology, glacial geology, geothermal energy, geophysics and astrophysics. The family also took time to explore Iceland's northern landscapes of volcanoes, glaciers, and enjoy the historic Viking culture. "Iceland is a geologist's dream," she adds. 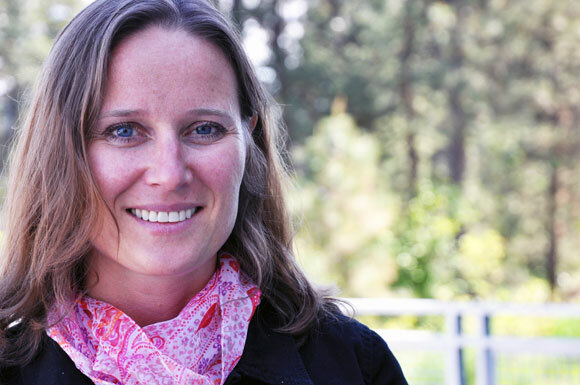 Her master’s research will examine the textures, mineralogy, and elemental composition of palagonite—the first stable product of altered volcanic glass, formed when eruptions occur under glaciers. Palagonite is primarily found in Iceland and British Columbia, and her research will be specific to the Wells Gray volcanic field and a subglacial ridge in Iceland. And because she likes to do things differently, Massey has even come to her master’s taking her own route. She came up with the idea for her research and will be supervised by UBC Okanagan’s Prof. John Greenough, and a professor from Pennsylvania who specializes in subglacial volcanism. Greenough, who teaches earth and environmental sciences at UBC, says Massey is an exemplary student and he is looking forward to supervising her master’s research. 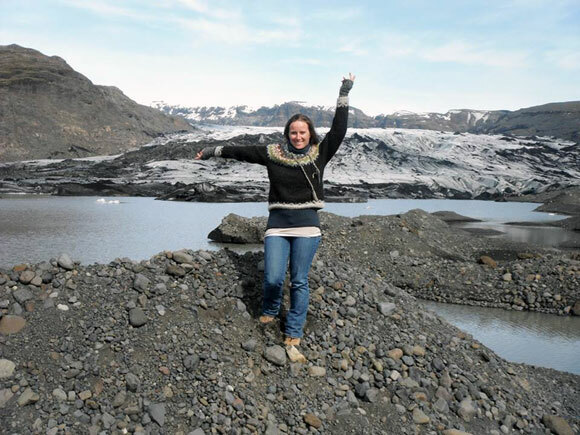 UBC graduate Erica Massey spent several months in Iceland while completing her degree. 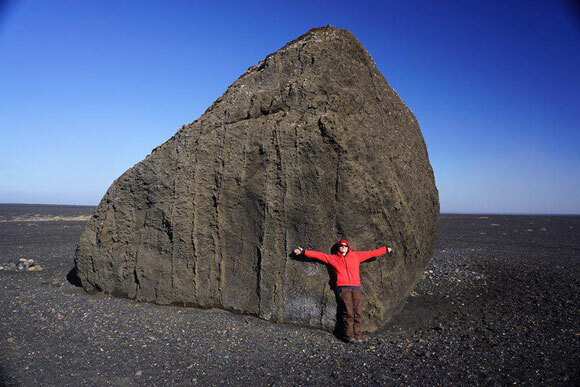 She fell in love with the landscape and poses here in front of a 1,000-ton boulder that forcefully carried and deposited at Mýrdalssandur, a vast area of black volcanic sand deposited from glacial floods. Erica Massey fell in love with Iceland; here she poses at Sólheimajökull glacier lagoon, on the South coast.